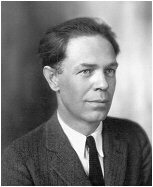 Milo Milton Hastings (b. June 28, 1884 in Farmington KS; d. February 25, 1957 in Tarrytown NY) was an American author, nutritionist, and inventor. Hastings was married twice and had three children. Some of his writing is available in book form and on Project Gutenberg. Hastings spent the bulk of his professional years as the food editor for Bernarr MacFadden of Physical Culture magazine. He wrote City of Endless Night, first published in 1919, an early classic of science fiction. He wrote on many other diverse topics, among them: The Dollar Hen in 1909 (chicken husbandry), Class of '29 in 1936 (political commentary), urban planning, and philosophy. Hastings received patent Serial No. 911,875 in 1909 for a humidity measuring device. He tried to patent a forced draft chicken incubator in 1912. The technology was later patented by another party. When that patent was challenged the matter went all the way to the Supreme Court and the patent ruled invalid on the basis of Hastings' prior art. Another invention was Winni-Winks, a processed food snack. Hastings was one of a number of reformers engaged in the campaign to reinvent housing according to principles of greater efficiency. "A Solution of the Housing Problem in the United States" was his entry in a competition for the "The Best Solution of the Housing Problem," sponsored by the American Institute of Architects and the Ladies Home Journal. It was awarded one of the two top prized. Hastings was enthusiastic about the Roadtown project, a linear city proposed by Edgar Chambless, and wrote a review of the project for The Independent, May 5, 1910. Though a prolific writer Hastings never learned to touch-type. This led to a never-ending search for typing help. That was how he came to be friends with Billy Rose. Billy Rose is remembered mainly as a Broadway impresario, writer and producer of many shows. He was born William Samuel Rosenberg in 1899. His first claim to fame was as a stenographer. He was trained in Gregg Shorthand by John Robert Gregg himself and at age 16 won a high-speed dictation contest. During World War I he was the chief stenographer for financier Bernard Baruch, head of the War Industries Board. Somewhere Billy Rose and Milo Hastings met and hit it off. On the train between New York and Washington Milo would dictate and Billy would record. In the 1920s Billy began to write songs. Milo thought the songs were good but he needed a stage name and suggested “Billy Rose”. Billy would bring his girlfriends over to Milo’s apartment in New York and ask Milo what he thought. When Billy married Fanny Brice in 1929 Milo and his wife Sybil were wedding guests. The Dollar Hen, New York, The Arcadia press, 1909. "A Solution of the Housing Problem in the United States," The Joke About Housing, Charles Harris Whitaker, ed. Boston, Marshall Jones Co., 1920. (with Bernarr Macfadden) Physical Culture Cook Book, New York, Macfadden Publications, 1924. High Blood Pressure: the Menace to Life that Begins at Forty, Chicago : Brownlee and Shaw, 1937.